...but I also know that many of you have felt the "burn out" of too many things on the go at the same time. For me, this year, I've burnt out on stamping. PLEASE don't panic! 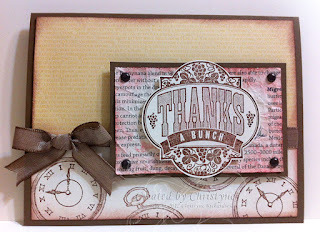 I am NOT giving up on stamping and I love my "job" as your Stampin' UP! demonstrator too much to stop doing that! But I can't tell you how relaxing it's been to not HAVE to stamp for the past couple of weeks! I've taken up knitting again (haven't done that in 10 years!) and I'm learning to knit socks. I love it! I promise that things will be back to "normal" (read: insane) soon, so please be patient. I found it on Sharon Harnist's blog. 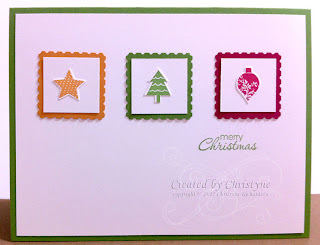 Merry Christmas and Happy Stampin'! Just click on the image to go right to the store! You can start early when you have this page ready to go! Create it and add the picture just as soon as you print it! It's inspiration challenge day to day on the Divas blog. You should check it out. I started off with a Gumball Green base (I made variations in More Mustard and Raspberry Ripple too) and added a layer of Whisper White, onto which I stamped the sentiment. 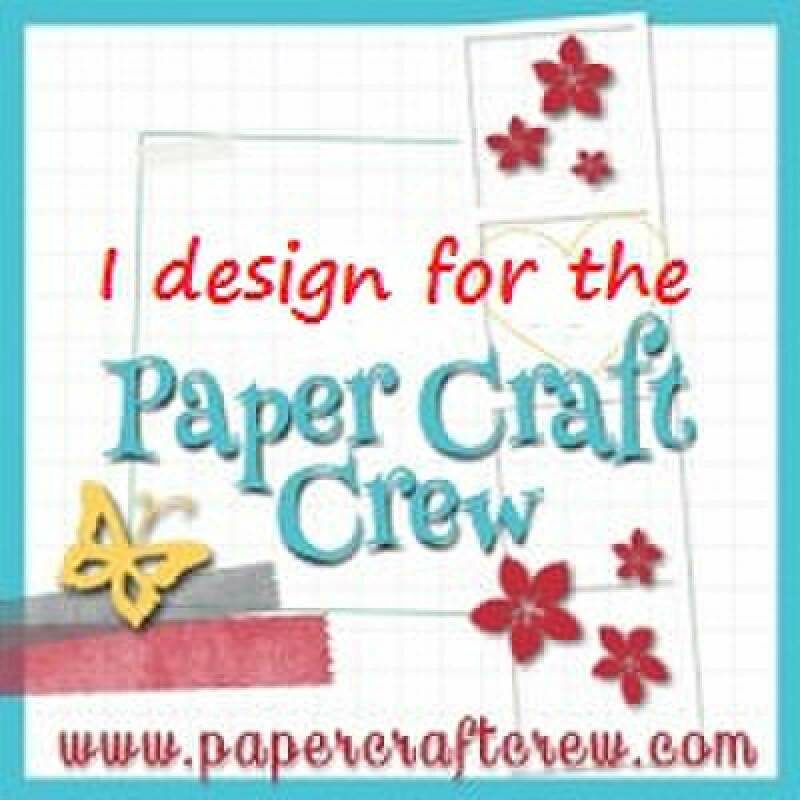 And for the Creative Crew, one of our themes for December was to use the First Edition Designer Series Paper. I can't believe this is my last month on the Crew!! It's been an amazing journey and I just KNOW you're going to love the incoming crew! 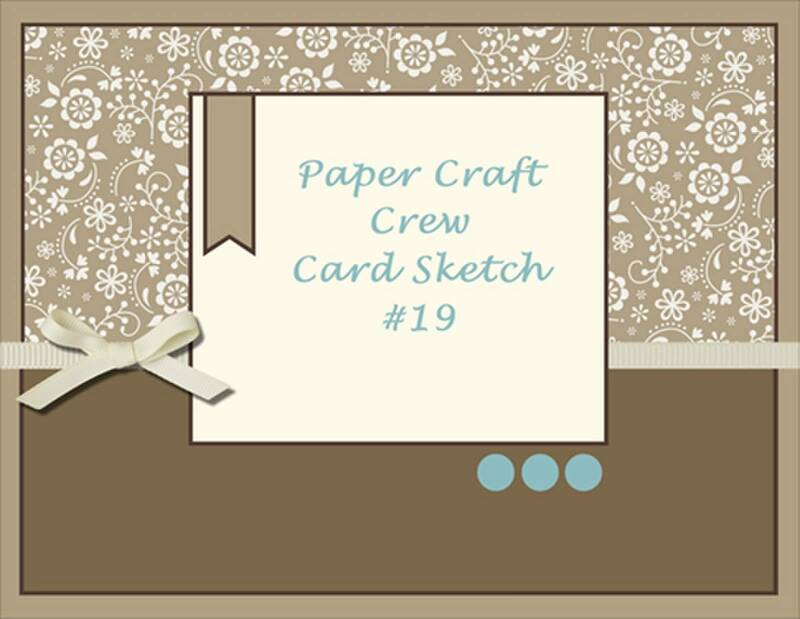 You can check out all the crew creations HERE and be sure to keep checking back in the New Year for the new Crew! Of course, I took a few liberties with the sketch (don't I always??) 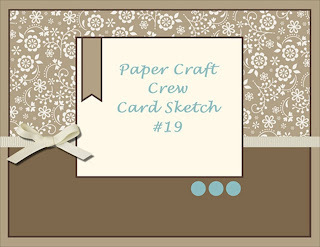 but I sure do like the way this card turned out! I started off with a base of Soft Suede and then added a stamped layer of Very Vanilla and a piece of So Saffron Designer Series Paper. I was going to use one of the Two Tags (from the die), but I wasn't liking the way it looked, so I changed it up a bit. 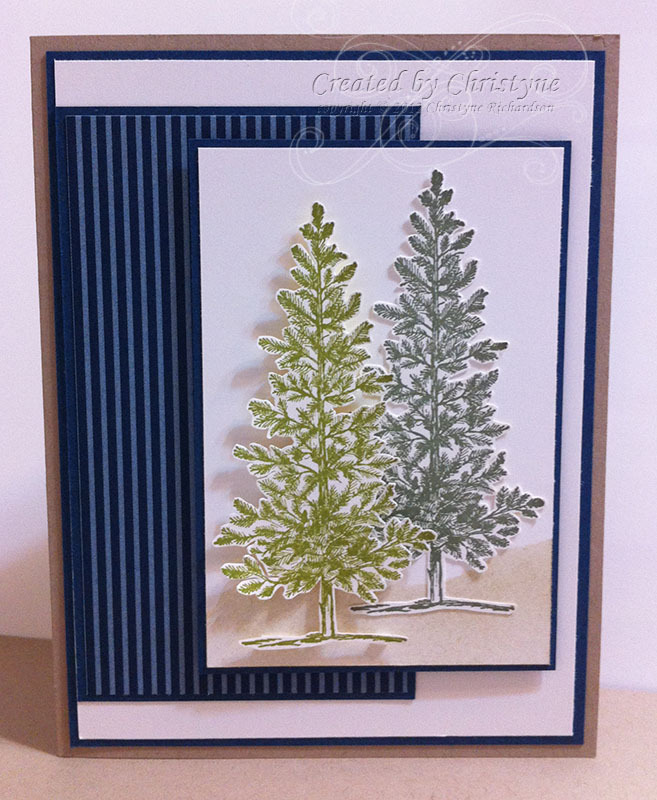 I did some distressing and sponging to add dimension to the card. Lovely as a Tree for the Divas! It's colour challenge day over on the Diva Blog! 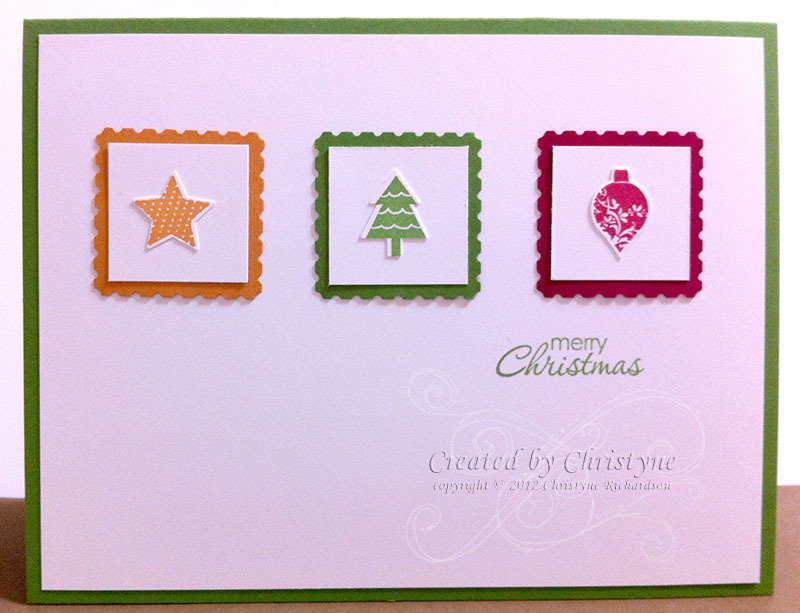 You should check it out...and maybe you'll do better than I did in incorporating all the colours into the card. I tried...I REALLY did! 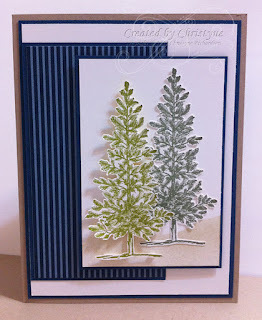 This card is a simpler version of one I have pinned to my SUO Christmas Pinterest board. Narelle Farrugia is the original designer. To be honest, I wasn't TOO sure about the combination of Old Olive/Always Artichoke, but I like the way it turned out. And yes, I fussy cut the Lovely as a Tree...TWICE! When I was going to add the trees to the image panel, they just seemed to be floating there, so I tore some paper, took out my sponges and added some crumb cake ink to the bottom of the panel which helped ground the trees. A little Joyous Celebration for the Divas!